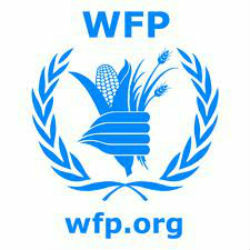 Starting from next week the United Nations World Food Programme (WFP) will use the Dar Es Salaam port to transport consignments of food to East and Central African countries. According to the Tanzania Ports Authority (TPA) acting Director General, Mr Madeni Kipande, a WFP ship with a food consignment of 10,000 tonnes would be docking at the port every two weeks. The ship will transfer the cargo to South Sudan and other countries in the region. During a two-day visit to Tanzania, the WFP Executive Director Ertharin Cousin toured the port to assess the WFP’s operations. She also visited the central logistic hub that is vital for the UN organization’s work in Africa. She was accompanied by WFP Goodwill Ambassador, Mr Howard Buffet. Dar es Salaam port is the principal Tanzanian port with a rated capacity of 4.1 million deadweight tonnage dry cargo and 6.0 million bulk liquid cargo. It handles about 95% of Tanzania international trade and serves the landlocked countries of Malawi, Zambia, Democratic Republic of Congo, Burundi, Rwanda and Uganda. The port is also strategically placed to be a convenient freight linkage not only to and from East and Central Africa but also to the Middle and Far East, Europe, Australia and America. Ms Cousin appeared highly pleased to see such good infrastructure and the efficiency of operations at the Tanzanian Port.